It’s Ellie’s graduation day from Uni and a new future lies before her. That is until her boyfriend Daz comes to visit, and wonders why he’s been left out. In a world where the past has left an indelible mark on the present, The Future is Mine is a play about one woman’s struggle to finally leave the past behind. Developed at a subsidised self-funded residency at Cove Park, an extract from The Future is Mine, was read in April 2017 as part of Playwright/Playread, directed by Bonnie Adair, at the Actor’s Temple, London. The play was shortlisted for the Introduce Yourself Festival at Finborough Theatre in 2018. ‘Avery’s tale has a lot of interesting points to make about the way people use religion to get what they want, using a veneer of virtue and morality to hide their true purpose.’ ****4-star review from The Public Reviews. When their lives start to crumble Gray and Esther turn to Christianity in the hope that God will take all the bad things away. As they’re drawn further into the church their secrets unravel, caught in a battle of ambition and desire where only one can win. The play has been shown at The King’s Head Theatre, New Diorama Theatre and Omnibus. 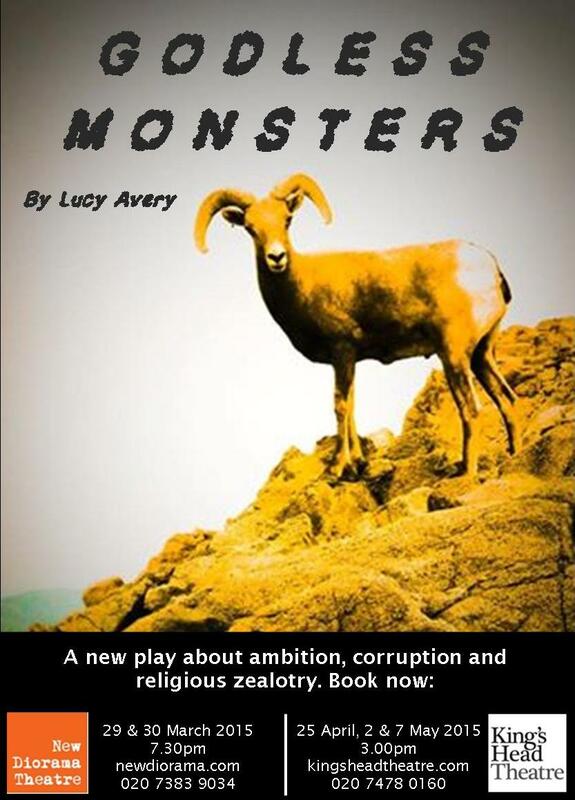 The play received a 4 star review from The Public reviews from the run at New Diorama Theatre. Read the full review here. I initially developed the play with director Jennifer Lunn at Culturcated Theatre Company. In July 2014 I was awarded a 2 week writing residency by The Expansionists at 57a to further work on the play, and Culturcated ran two days of rehearsal room development as part of this. The play was performed at New Diorama Theatre as part of their two-night stand initiative in March 2015 and at the King’s Head Theatre as part of their Without Décor programme in April & May 2015, presented by Piqued Productions, directed by Kate Baiden. We received a 4 star review from the run at New Diorama Theatre. I further developed the play at Omnibus writers workshop and with Sharon Burrell, artistic director of To The Moon. An extract was shown at Omnibus in Clapham on 15th April 2016, directed by Sharon Burrell. Take a look Omnibus’ interview with me about the play here.